A Content Management Systems (CMS) is a tool that business owners, web developers and others use to build their websites. There are loads to choose from, depending on your specific requirements, and WordPress, Joomla, Drupal, Magento, Umbraco, Squarespace, and Wix are some of the most popular. If your website uses WordPress(WP) then you find yourself in good company. It’s by far and away the most popular CMS, being used by 32% of all websites. 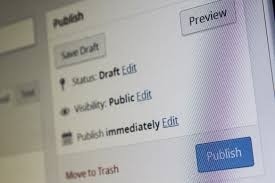 WordPress is popular for a number of reasons, the software is free (but you’ll still need hosting that will cost), it’s pretty easy to use and there are thousands of “themes” (designs and templates) that you can use to define the way your website looks and many of them are free to use. There’s lots of places you can turn to for advice and support and lots of professional developers who can customise your site so that is does exactly what you need. WordPress is not perfect though, it may not do everything that you need. However, it’s an open system which means that if you understand how to write software you can create your own enhancements. You don’t even need to be a software developer to benefit. Somebody, somewhere has probably already had a similar need to yours and written something to do the job. Thousands of people have created additional enhancements and have made their tools available to everyone. These enhancements are called plug-ins. A lot are free whilst others require a payment, although the majority of these are inexpensive. The downside to plug-ins is that each one you use makes your website run a little slower, and with Google beginning to penalise slow sites the speed of your website is something you need to keep an eye on. This means that you shouldn’t just keep adding plug-ins. You should make your choice, install your plug-in, give it a test and if it doesn’t do what you need then uninstall it. Not only should you keep your plug-in count to a minimum but each plug-in MUST be kept up to date. The authors regularly update them, some updates patch security flaws, some improve performance and/or add extra functionality and some updates are required to make sure the plug-in runs with the latest upgrades to WordPress itself – so you need to be regularly checking, unless you have a program that monitors then for you. Best case scenario is that nothing happens, worst case scenarios are that the unpatched plug-in breaks your website or a security hole lets a hacker in . Your WordPress site needs to be secure so that hackers can’t break in and do their hacking thing. Which could be to use your website host malicious software and force it on the computers of all that visit. 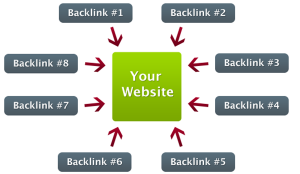 They might create pages with links to their web pages, or look to capture details identifying visitors to your site. Thankfully, there’s a plug-in that will fortify your WordPress website against attack. Your website has to be fast. 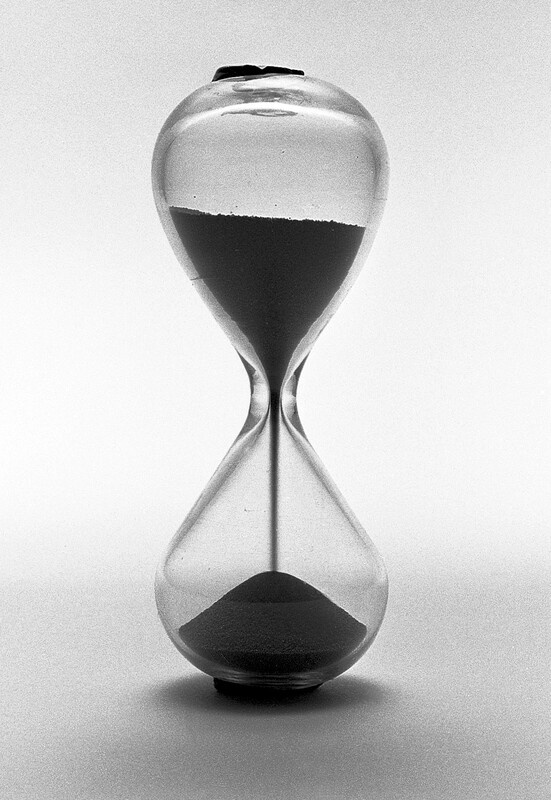 To stop people drifting away, your pages need to open within 3 seconds. Slower that that and people will not wait. Slower than that and Google may start to penalise your site by pushing it down in their search results pages. There’s a plug-in that will keep WordPress running as fast as possible. In order for your customers to be able to find you in Google (or Bing, or Yahoo or one of the other search engines) the search engines have to be able to understand what it is your website is offering. The discipline that enables the search engines to understand your website and hopefully put your site on Page 1 of the results is called Search Engine Optimisation. There’s a plug-in that makes it easy to search optimize your site – so long as you know what you are doing. So, which are the best plug-ins to use? WordFence is a security enhancer. It is an “endpoint” firewall which means it cannot be bypassed, unlike a Cloud Firewall. This means that everybody trying to access the admin area of your site (both you as the site admin and the bad guys – the hackers) have to get past WordFence first. It defends against “brute force” attacks, where a hacker attempts to guess usernames and passwords and after a certain number of failed attempts (you set the limit) it blocks the attacker, effectively making your website invisible to them. WordFence keeps a blacklist of known hackers (by their IP address) and automatically blocks them. WordFence also sends you an email when one of your plug-ins requires updating, making plug-in management a whole lot easier. Should you need to restore your WP site, Updraft Plus makes this easy too. WP-Rocket is the only plug-in on this list that doesn’t have a free version. However, the cost for a single site won’t break the bank at just $39. What WP-Rocket will do for your website is make it faster to open on a visitors computer.It uses a number of tools to achieve this. It compresses your site for faster transmission across the internet, it manages images so that the only images downloaded are those that are visible on screen, if allows a web browser to cache key elements of your site so that they don’t have to be reloaded every time a visitor navigates to a different page. You can see everything that WP-Rocket does here. In order to stand a chance of being found on the internet, your website needs to be “Search Friendly” which means that Google, Bing, Yahoo, Duck Duck Go etc can find your site, visit all the important pages, understand what’s on offer and (hopefully) put your site on the first page of the search results when someone is looking for your products, goods or services. However, WordPress doesn’t make it easy and this is where the YOAST plug-in comes in to play. As long as you understand the requirements for effective SEO then the YOAST plug-in makes it easy to implement key SEO requirements. Wrong………SEO takes time. Despite the amount of technology and artificial intelligence devoted to managing Google’s (other search engines are available) search results it actually takes some time for your changes to search to actually take effect. But how long does it actually take? Google certainly isn’t telling but a number of people have carried numerous experiments and a number of conclusions have been reached. The first is an answer that you don’t want to hear – “it depends”. And it depends on so many things, more than 200 according to Google. Audit your website to see what needs to be done, have a look at your competitors, think of the ways that people might be looking for the things you do. Next up you need to start creating new content. Writing blog posts, creating FAQs, writing white papers etc. You should be sharing these through your Social Media channels, email campaigns etc. By month four you should begin to see some improvement in your position in the search results – an indication that your work is paying off – but don’t stop. You should be paying attention to Google Analytics to see how much traffic is visiting your site and how many leads, sales, enquiries are being made. If traffic has increased but actions haven’t then you are either reaching the wrong people, sending the wrong message or your site is not working particularly well. 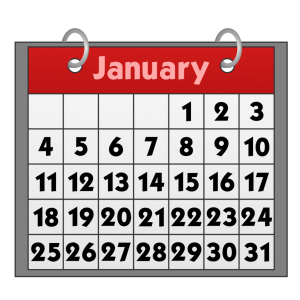 Now is the time to look at all of the issues and put resolutions in place. Continue with your content creation. Too many companies opt out of SEO after 3-4 months because they don’t feel that it’s working for them. The reality is that their SEO may only just be getting going. 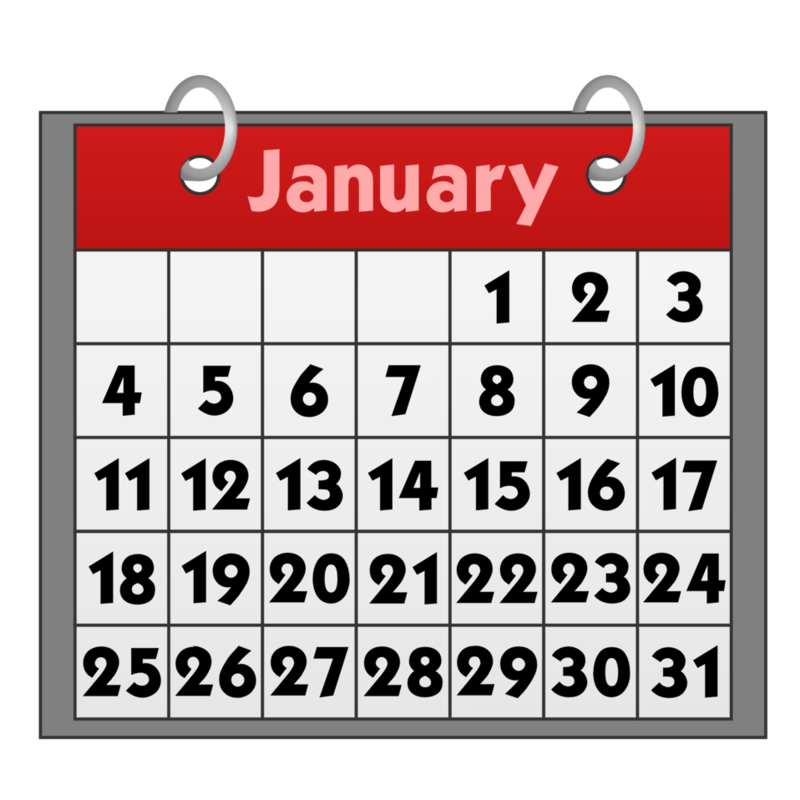 A time frame of 6 months to a year is where you should be aiming. SEO is not a sprint, it’s a marathon. The more you work at it, the better things will get but the marathon never ends. It’s no good being number 1 in the search results if your website isn’t playing its part in the role and converting those visits in to leads, enquiries or sales. Not only that but SEO is just part of your marketing mix, you also need to be effective with your Social Media, email and Video marketing and everything else that you do to promote your products, services and your brand. And if you need some help with any aspect of your SEO, from a site review to a full package just get in touch for a free, no obligation conversation and we’ll see where it takes us. How much should you budget for SEO services? How SEO “friendly” is your web design? 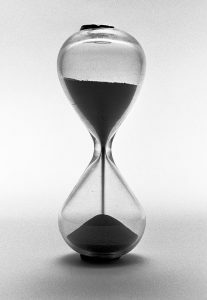 How fast do you need SEO to take effect? How does your site compare to the competition? How well optimised are their sites? This latter is not about understanding their absolute spend, more about an overview based on the simple fact that the larger the competitor the more likely that they will have a greater budget than you. 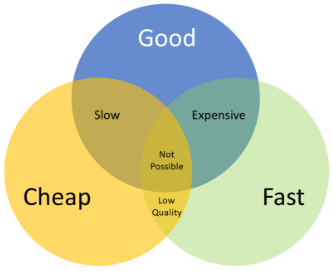 In reality, it’s not about how “good” your SEO is, it just has to be better than the competition. I’ve worked with a couple of businesses where the competition was clueless about SEO so it was a relatively simple task to push them higher in the rankings but most businesses these days are aware of SEO so the task is tougher. 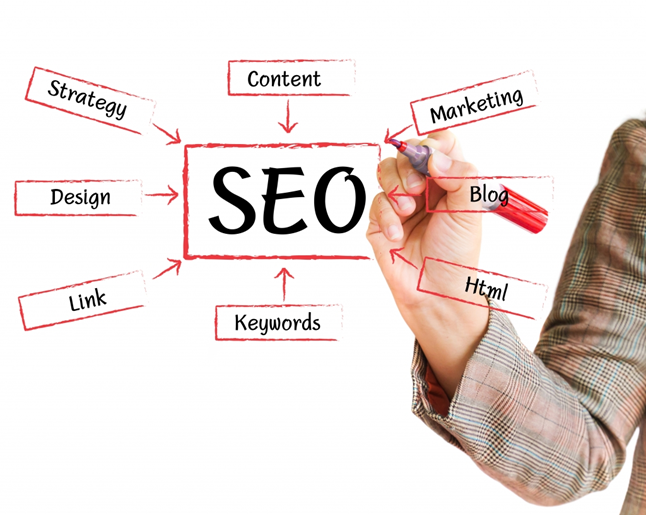 A recent survey reported that less than half of all small businesses have an SEO budget. Of those with one the majority (71 percent) spent less than £100/month. That’s right – 71 percent of small businesses budget £0 – £99/month for SEO. This is why your in-box is spammed with promises of “guaranteed first-page results” for £99. SEO spammers know the market. Their promise of first page results is hard to resist and, in my experience, most business owners have no idea how SEO works, they are far too busy running their businesses to spend time learning SEO and so may very well opt for the least expensive quote. I’ve been doing SEO since 2001 and over the years I been a member of many internet marketing groups on Linkedin and I never cease to be amazed by the number of people with a little knowledge who pose as SEO professionals and take on clients. How do I know they lack experience? It’s questions like “I have just taken on a client that wants to rank for “keyword x” – how do I do it?” that tends to give the game away. A close second to asking “how” is the use of link schemes, specifically private blog networks (PBNs), without ever explaining the risk to clients. If you were to simply throw your money away by hiring an incompetent to carry out your SEO that would be bad enough. The problem is that the damage does not stop at the waste of money – it’s far more serious than that. The damage that someone who does not know what they are doing can go much deeper. It could attract a Google penalty and virtually wipe out a website’s visibility on the web. As a consequence, even if you don’t choose EOMS to conduct your SEO I would encourage you to insist on using tactics that comply with Google Webmaster Guidelines, as I do. be easily accessible to search engines. follow Google Webmaster Guidelines for SEO best practices. perform quickly (pages opening in 3 seconds or faster). work well on all devices, mobile, tablet, and desktop. As with everything in business, Goals are good. They help focus the mind and ensure that everybody knows what’s expected. When setting goals, it’s important to keep a few things in mind. Realistic – Stretch goals are fine, but pie in the sky benchmarks can actually work as a disincentive. Improving organic sessions by x percent. Increasing conversions by y per month. Increasing revenues by z percent. And here we get to the nub of the matter. Your goals will define the strategy required needed to succeed. This will then provide the information required to develop an action/implementation plan which defines the work required and, consequently, the budget necessary to achieve the desired goals. Remember though, that the budget needs to take account of the time to properly plan, implement and tweak a campaign in order to evaluate its success. How much should you spend on your SEO? Well, £99/month just isn’t enough to do it properly. If you are hiring an SEO company expect to pay from £200-300 per month. If you can’t afford to retain a top level SEO, there are some options. 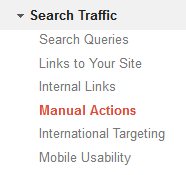 The most common being a one-time website SEO audit with actionable recommendations that you could implement yourself. Just fixing your website will often lead to a meaningful boost in organic traffic. Content development and keyword analysis are other areas where you can get help from a pro for a one time fixed rate. Another option is to become an expert and do it yourself. Following is a calculator commonly used (incorrectly) for measuring return on investment for SEO. Of course, the above calculation has a major flaw, it fails to take into consideration the lifetime value of a new customer. Online businesses need repeat orders/sales in order to grow. 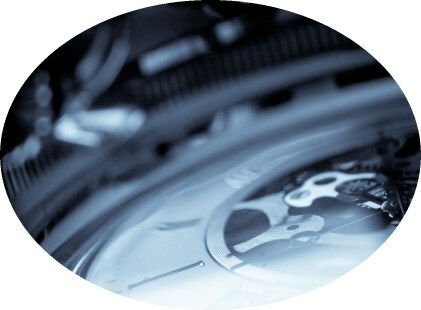 By not calculating the lifetime value of a new customer the true ROI is grossly understated. Unlike Pay Per Click – (Google/Bing Ads etc) an organic search campaign won’t yield immediate results and, even when executed to perfection, it takes time for Google to recognise and reward these efforts. 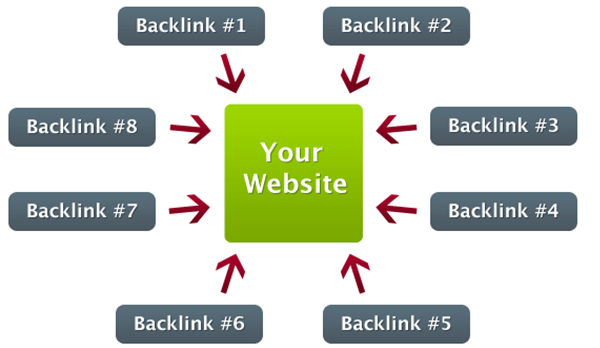 That said, the traffic earned from these efforts is often the most consistent and best converting among all channels. How much is a Page 1 result in Google actually worth? Almost every week I am approached by clients who need their site to be found higher up in the Google Search Results Pages (SERPs). Quite often they have been approached by (or have approached) consultants offering to this but have balked at the fees. Now, I know that the fundamentals are pretty easy to achieve if you have the knowledge, experience, inclination and time but many small businesses rarely have any of these and yet many still believe that good search engine optimisation [SEO] can be delivered quickly and cheaply. If you’re confused by the SEO jargon, have a look at my SEO Glossary of Terms for clarification. Is this possible and what’s the real value of good SEO? Let’s take a look at the numbers. In the UK about 85% of the population use the internet. With a population of 65.64m (Worldometers) and this equates to around 56m individuals who are online. Of these, 80% use search engines to find what they are looking for, that’s about 45m people and at least 95% of them use Google as their search engine of choice, 42.75m people. Lets look at TV first. There is the cost associated with the production of the advert, script writing, casting, production, filming and editing. According to the Televisual magazine, the average cost of producing a 30 second advert for TV is around £201,000. As a very rough guide, an evening slot on ITV will cost around between £60,000 and £75,000 and this is likely to reach between 5m and 9m viewers depending on the popularity of the show. 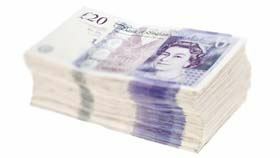 However if you want your ad to go during something like the X-Factor then a 30 second slot cost will set you back a cool £200,000. So, you may look at radio or the print media, both of which have lower costs (production and media costs) but also have significantly lower audience figures. In all of these cases, the costs will be for a one-off and most people with any experience of advertising know that one-off adverts simply do not work, so you have to pay for a campaign. All of a sudden fees quoted by Search Engine Optimisers actually begin to actually look like pretty good value for money bearing in mind that if they succeed your site will be in front of the largest possible audience 24 hours a day and 7 days a week. 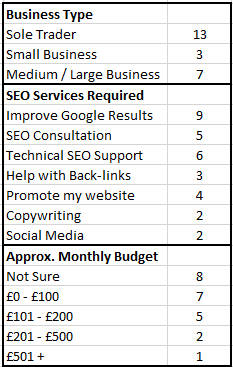 My SEO rates start at £150.00 + VAT per month, peanuts compared to TV, radio and most forms of print advertising. 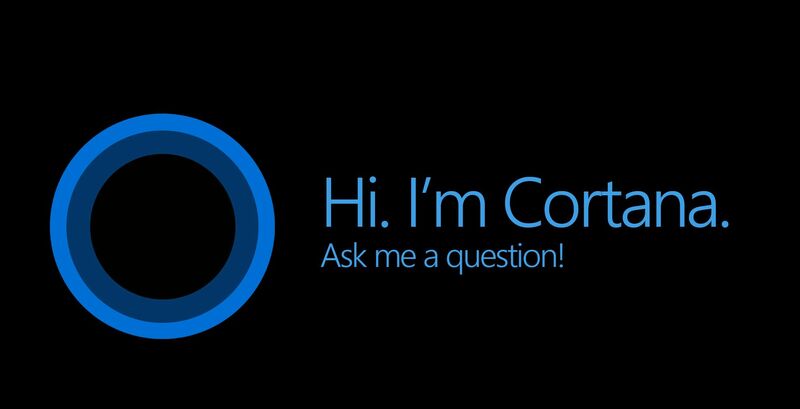 “OK Google”, “Sir”, “Alexa”, “Cortana” and “Bixby” are all commands that wake your device up and prime them to expect a voice command. 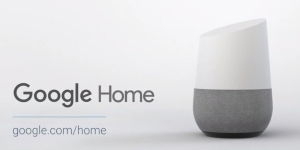 The reality is that your Android Phone, Google Home, Windows 10/X-Box, Apple iDevice, Samsung Galaxy and Amazon Echo are always listening, it”s just the command that alerts them that an instruction is incoming. And because phone keyboards are harder to use than those of their desktop/laptop cousins more and more people turning to voice control and voice search purely for ease and convenience. As a consequence, it”s vitally important that you understand what you need to do to make sure that your site is easy to find – even when the search is through voice recognition. Google, in particular, is using artificial intelligence to better understand our spoken instructions and to encourage more conversational searches, such as “Where can I get my Jeep serviced” rather than a more traditional desktop search “Jeep servicing Bristol”. A lot of people use voice to search for local businesses, “where’s the best Pizza restaurant in Bristol” for example so, if you sell pizza in Bristol you need to ensure that your pages are optimised for “Best pizza restaurant in Bristol” and written in “natural language” (written in a similar way to the way you’d speak) which really helps with voice search results. With traditional SEO, you’d have researched the words that people were typing when looking for your products or services and built your site optimisation around those. Now you have to get your head around the types of question that they might ask, just as if they were asking their friends, family or colleagues, as demonstrated in the above example about Pizza restaurants. One way to start addressing this issue is to consider a dedicated Q&A page where you can pose these questions and add your answers – remembering to keep them more conversational than you’d perhaps feature elsewhere. The pages that you have optimised for voice in this way need to feature in your Site-Map so that Google and Bing can easily find, and index, them. You do have a sitemap (sitemap.xml) don’t you? You should even look to include microdata, schema, rich snippets and so on because these little pieces of code give the search engines even more information about your business. You’ll also need to ensure that your listings on Google My Business and Bing Places for Business is up-to date and accurate because that’s where Google and Cortana will look for the location-specific search results. You should also check out the other business directories that have your business listed, Yell, Thomson, Yelp etc and make sure that your address details are correct. This simply ensures that there’s no ambiguity about the right address for your business. A bit of fun. If you use Google voice search and make an animal related enquiry, try adding “fun facts” to the end of your search to learn something about the animal you have been searching on. Previously, Google Ads comprised of a headline of 25 characters, 2 descriptive liners of 35 characters and a web address together with a “hidden” link that takes people to the most relevant page for their search. At the moment, you can target your Google Ads at Desktops (desktop and laptop computers) and Mobile devices (phones and tablets) by setting a bid value multiplier, so you could bit for a desktop keyword at Â£1.00 per click (for example) and use the multiplier to set a different bid value for mobile devices so, an Ad targeted at Mobile devices could have an 80% multiplier meaning that you’d be bidding Â£0.80 per click. 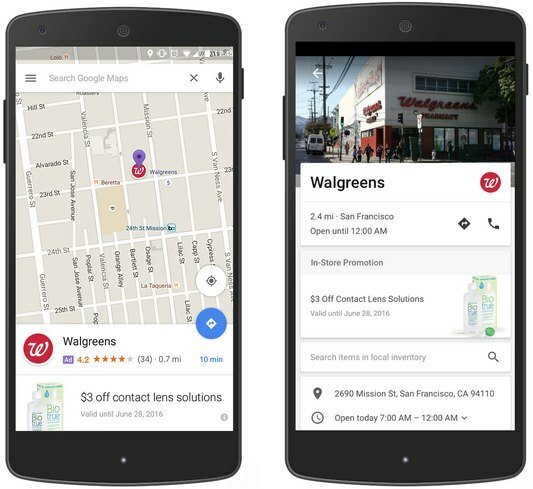 With 1/3rd of all mobile searches being people looking for something in their area Google will be launching the ability to promote your business in Google Maps so that uses will see Promoted Pins along their route – or nearby. 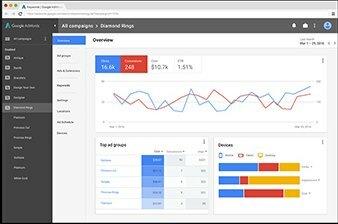 The current Google Ads management console is now more than 15 years old, New features have been bolted on and, as time has passed, the interface has become less intuitive and harder to understand and use. As a consequence, the Console is getting a complete overhaul and it’s likely that there will be a greater focus on Ads targeting Mobile devices. As mentioned at the start, these changes are being rolled out this year although the changes to the Management Console are being rolled out more slowly and most of us probably won’t see the new interface before 2017. What has Google done now? On Monday 22nd February Google made a sweeping change to the way that its search results pages looked. Google removed Google Ads from the RH side of their results, when searching from a desktop or laptop PC. This is the first major change since 2010, when Google moved from showing a maximum of 10 Ads on a page to 13. Google addedÂ up to 3 Ads at the top of the free results as well as up toÂ 10 Ads on the right hand side. This latestÂ changeÂ has wiped out the Ads on the RH side whilst increasingÂ he number of Ads at the top of the page to a maximum of 4 and has seen Google addÂ 3 Ads to the bottom of the search results. Why has Google done this? Google’s logic is that it wants to bring desktop search in-line with Mobile search, making things simpler andÂ saving money. I know that mostÂ people just ignore the Ads on the right. Even Google reckons that only around 30% of Google users actually look and click. Although this percentage of users clicking is quite low, the revenue generated for Google is huge. AboutÂ 70% of revenue comes from clicksÂ and, with Google the largest company on the planet, this represents a significant income. However, it’s never enough. The hope is that by justÂ having Ads at the top (and bottom) of the page – more people will click on them. As well as attracting more clicks, Google will be hoping that businesses will pay more to ensure that their Ads are at the top of the page. For businesses not paying for Ads, the top free results now appear further down the Search Results Pages. This may mean more people choose to click on an Ad rather than your website. If your site is not in the top 3 or 4 of the free results, you may find that searchers now have to scroll – and they may choose not to. This could mean more investment in Search Engine Optimisation to move your site higher on the first page. If you are an Advertiser it could lead to increased costs as more businesses compete for fewer opportunities. However, if you sell products and use Product Listing Ads (PLA) these will continue to feature on the right hand side. You need to understand the impact that these changes will have on your website and so I’ve put a special offer together to help. Let me take the strain and carry out your audit for you, taking a deep look at your search engine optimisation, providing recommendations to improve and even looking at the way your website is working. To take advantage of this offer all you have to do is give me a call on 01793 238020 or emailÂ andy@enterprise-oms.co.ukÂ and if you need help with any other aspect of your online marketing, SocialÂ Media, Email Marketing etc. don’t hesitate to use those contact details to get in touch..
What is “Negative SEO” and how could it affect my business? Most of us with a website are aware of the term SEO, AKA Search Engine Optimisation – the “stuff” that you have to do to, and with, your website in order to appear as high up in the Search Engine Results Pages (SERPs) as possible, and ideally on Page 1. In fact SEO forms a major part of my business – helping your business be easily found online. What you might not be so familiar with is “Negative SEO” but you should be – Negative SEO is something that your competitors could do to your website, and the worst case scenario is that your site is deleted from Googleâ€™s database which would make your internet presence virtually invisible. 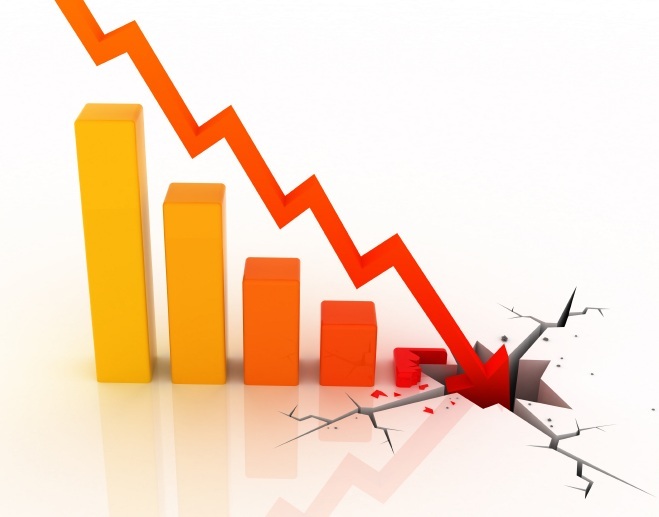 So, what is “negative SEO”? One of key ways that Google judges the importance of your website, and where it appears on the SERPs, is based on the number of websites that link to your site and the quality of those originating sites that have published the links. In a simplistic way, Google sees each link as a “vote” for your site and the more “votes” you have, the more popular your site must be and so it must be deserving of a higher position on Google’s results pages. 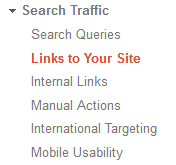 However, if any of these links come from sites that are of poor quality, are totally irrelevant or Google doesn’t like then Google will apply a penalty to your site. A minor indiscretion could see any changes to your site ignored by Google, meaning that your site will slowly drift down the results as other businesses improve their sites. An “intermediate” issue could see Google apply an active penalty – pushing your site down by 5 pages or more. For something far more serious, such as buying links from a Link Farm (a website that sells nothing but links purely for the purpose of improving your search results) is likely to see your website deleted from Google – buying links in general, and buying from a Link Farm specifically are SEO tactics that Google simply hates. There are two key ways to know whether you’ve been penalised – the “Locking the stable door after the horse has bolted” method is simply the realisation that the inquiries that you had become used to receiving from your site have dwindled away to nothing, or that you can no longer find your website in the Google results – no matter how many results pages you look at. The smart website owner will be regularly logging in to their Google Webmaster Toolkit and will be keeping an eye on the latest links report that can be found by navigating to “Search Traffic/Links to your Site”, clicking on the “More” option in the “Who links most” section and downloading the “Latest Links” to make sure that there’s nothing that they are unhappy with. To be extra safe, they’ll also carry out a full Link Audit using the full list of sites which have back-links leading to their site, contacting any that are suspicious looking and asking for them to be removed. In Google Land it’s far far better to have fewer high quality links than loads of low quality links. Alternatively, you can drop me an email, andy@enterprise-oms.co.uk or give me a call on 01793 238020 and Iâ€™ll lift all of the worry of Negative SEO from your shoulders. 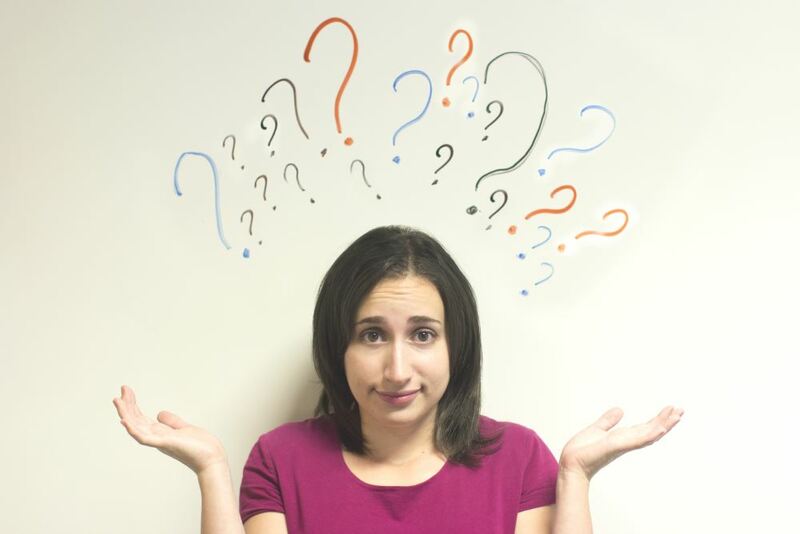 How ready is your business for marketing online? I recently read a post onÂ www.SmallBusinessNewz.comÂ that says many small businesses do nothing to enhance their on-line presence and 90% have not even considered paid web marketing such as Pay per Click [aka Google Ads, PPC] or sponsored updates on Social Media sites. Personally, I think that this is good news even though I may disagree with the one of the main reasons they give – they believe that it may be too expensive and not deliver results. I know that a properly constructed and managed campaign WILL most certainly deliver results and does not have to be expensive. However, campaigns that are rushed in to place and ineffectively managed will simply feed the money hungry machines that are Google, Facebook etc. What’s even worse is that even a well set up and managed campaign may not deliver the wished for results because the website at the end of the click may not be up to the task. It would be like advertising the opening of a new supermarket, building demand and expectation and then throwing open the doors only to have the shelves half stocked and no one around to help or take your money. A wasted opportunity! Not only a wasted opportunity but a wasted future because people who have had their expectations dashed will never return and (and this is just as bad) spread the word. the destination website is up to scratch. What do I mean by having a website that it â€œup to scratchâ€? Watch this space for my next post.